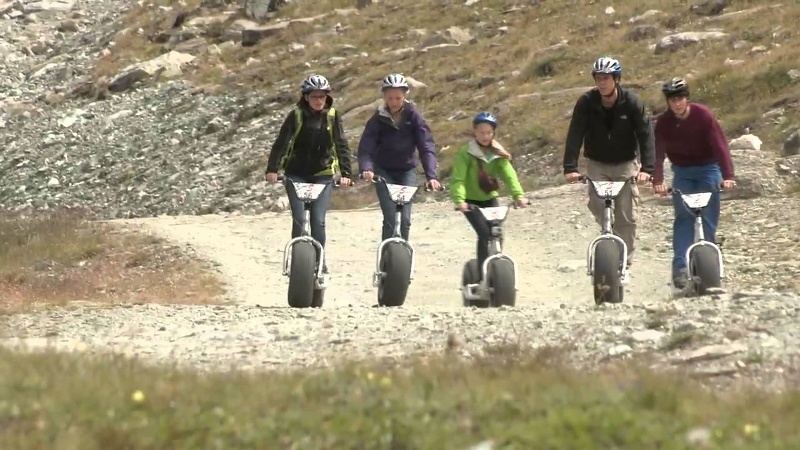 Dirtscooter riding in Zermatt: high thrills at the foot of the north face of the Matterhorn. 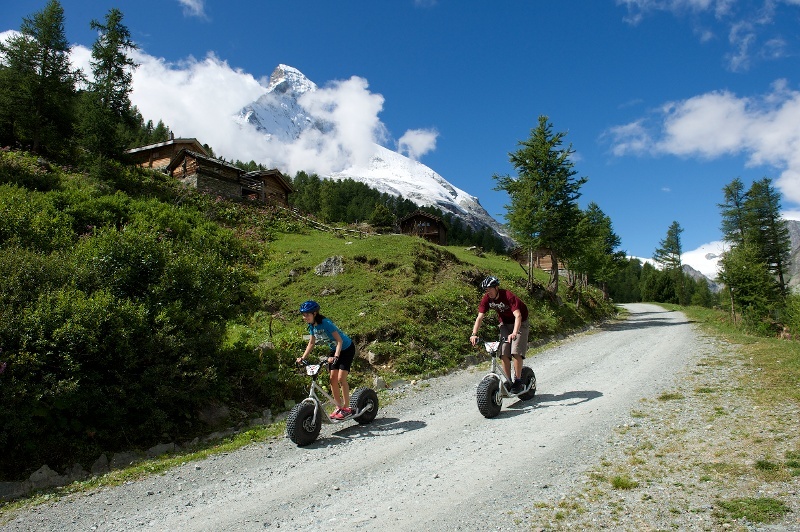 These scooters with super-fat tyres are perfect for riding the lanes leading through Zermatt’s alpine pastures. Fun for all the family! Riders collect their downhill scooters from the Matterhorn glacier paradise valley station. A ride in one of the Matterhorn Express gondolas leads up to Schwarzsee (2,583 m): time to don helmets for the descent. The trail leads past the waters of the idyllic Schwarzsee and down towards Stafelalp. The lanes are not completely smooth, which adds to the sense of adventure! 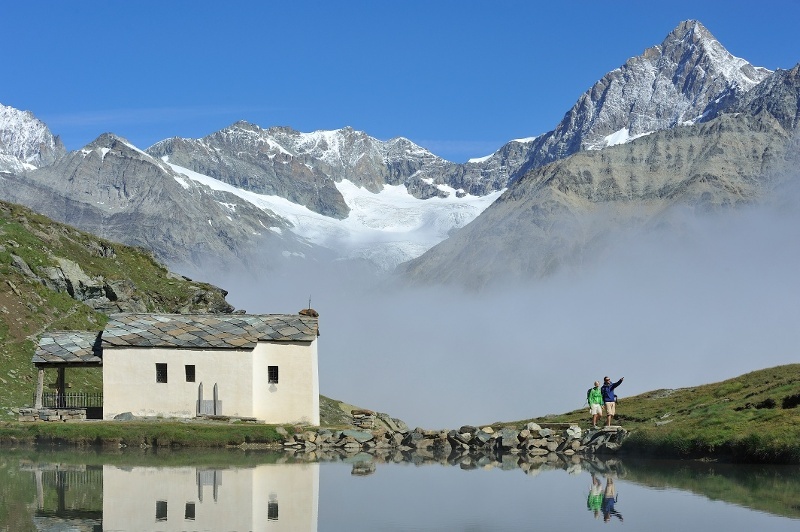 The Zermatt Bergbahnen lift company offers various deals for this adventure. Take into account participants’ fitness level and ability. Weather conditions can change quickly in the mountains. Appropriate clothing is therefore essential. In uncertain weather, turn back in good time. It is forbidden to ride on the ski pistes. Please be considerate to walkers and to plants and animals.